A solicitor who committed a swathe of “deliberate, calculated and repeated” accountancy breaches has been struck off after giving “extraordinary and incredible” evidence in his defence. Experienced lawyer Paul Dumbleton, 59, was hauled before the SDT over allegations he failed to pay disbursements and failed to deal with client money appropriately. This misconduct occurred when Dumbleton was the director of a short-lived firm called Beech Jones, which commenced trading in September 2011 and, amid cash flow problems, was in liquidation come November 2014. When an investigation officer looked into the firm’s financial stability, they were informed by Beech Jones’ part-owner, Martin Gabriel, that a decision had been taken to close the firm “following the unexpected departure of [Dumbleton] on or about 22 or 23 October 2014”. In November the firm’s cashier produced a schedule of all unpaid fees totalling £285,271, most of this (£191,589) unpaid barrister fees. The tribunal found beyond reasonable doubt that money had been transferred from client account to office account for the settlement of disbursements, and that these disbursements were not then paid to the relevant recipient as required by the rules. Given that his conduct departed from the standards of “integrity, probity and trustworthiness” expected of a solicitor, the SDT seemed to have had no difficulty in striking a “completely culpable” Dumbleton off the roll. “[His] actions were planned and were in breach of his position of trust as the custodian of client monies,” the three-person tribunal concluded. It continued: “He had direct control and was entirely responsible for the circumstances. He was an experienced and senior solicitor, who understood the rules and the sacrosanct nature of client monies.” He was ordered to pay costs of £31,321. Very poor policing by the Solicitors Regulation Authority. It’s about statutory regulation was introduced for both all the legal fraternity and estate agents too. He was stealing the Barristers’ money to pay himself. He is lucky not to be going to jail. He still might. Bet the police are having a look. Barristers regularlyget burned by solicitors pulling this stunt. Hopefully this outcome will act as a wake up call to those firms that pull such stunts. Especially junior barristers who have pressure put on them by their own chambers not to make an issue out of it for fear of upsetting more senior members’ practices. When I was a reader and a junior barrister in Sydney in 2004, I regularly had solicitors fail to pay me. They knew you needed work, and exploited it. If you complained, you didn’t get any more work. If you didn’t complain, you might get more work, but you wouldn’t get paid. It wasn’t until about 2009 that I realised I was a “real” barrister, when I got a cheque for about $300 for mentioning a matter four years earlier. The same problems exists in London chambers, I walked out of a leading top 30 set because of such nonsense at the junior end. The clerks there, however, never seemed to have any problems collecting in for the silks. Sorry to hear it – I came to the Sydney Bar in 2005 and thankfully haven’t been stiffed by a solicitor for fees since 2007. 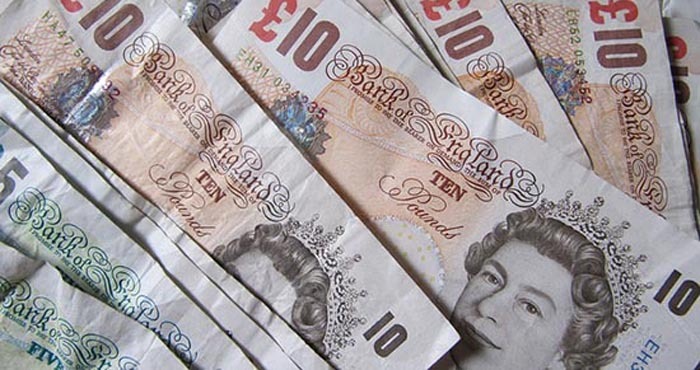 Several solicitors have been struck off in recent years for not paying barristers. I would like to see non-payment of counsel lead routinely to striking off for solicitors.